Expert tips to help you keep your seat, your luggage, and your sanity. What happened: You showed up at the gate a generous 45 minutes before departure, and the agent informed you that your flight was oversold. The airline asked for volunteers to give up their seats, but not enough people came forward, so you ended up missing the wedding you were traveling to. Next time: Arrive at the check-in desk or automated kiosk an hour or more before departure. “Airlines,” Perkins says, “tend to bump starting with the passengers who check in last.” Or fly JetBlue. It’s the only airline with a firm policy of not overbooking. If JetBlue isn’t an option, check the Department of Transportation’s monthly reports for a look at other airlines’ oversale records. In any case, call ahead to confirm your airline’s minimum time window for check-in. What happened: You arrived at the airport with what you thought was plenty of time, but the check-in and security lines were so long that the plane left you behind. What the airline should do for you: Airlines routinely advise passengers to get to the airport at least an hour prior to departure for domestic flights and two or three hours before international ones―and that’s all they’re obligated to do. If you don’t arrive early enough, the airline owes you nothing. Next time: A good travel agent can warn you of potential logjams. And you can find out about about wait times at security checkpoints around the country by visiting waittime.tsa.dhs.gov. Though the times listed are estimates and averages, not live data, they can give you an idea of the general traffic patterns. Also, when flying from an airport you’ve never used before, leave yourself extra time in case of unexpected obstacles. Getting your boarding pass online or using an automated check-in kiosk will save you time as well. If all else fails, “it certainly doesn’t hurt to let security know that you’re late for your flight,” says travel analyst Jared Blank of Online Travel Review. You may be allowed to move to the front of the line. What happened: You bought a $98 nonrefundable ticket, but a sudden illness forced you to cancel or postpone your trip. Now the airline is charging you $100 to change your travel dates, plus the difference between what you originally paid and the current, much higher fare. What the airline should do for you: Nothing. If you want to sit in the cheap seats, you run the risk of paying a hefty fee and a fare increase if your plans change. Next time: Fly a budget carrier. “Southwest Airlines is the only carrier that doesn’t levy a penalty on changing a nonrefundable ticket,” says Sudeikis. Instead, it applies the ticket’s full value toward a future flight taken within a year of the original departure date. JetBlue charges $20 for changes made online to any ticket, or $25 if done with a reservation agent. Most of the other discount carriers also have low change fees, but the standard carriers charge up to $100 for domestic-flight changes and $200 for international ones. Virtually all airlines will make you pay any fare increases. What happened: You bought a ticket for $400, and the next day the fare dropped to $200. What the airline should do for you: Usually airlines will let you trade in your tickets for the cheaper ones, though generally there is a change fee. And sometimes that fee―up to $200 per ticket for international flights―will be greater than any savings. Next time: Fly an airline that doesn’t levy a large change fee in such cases―or take Southwest, which doesn’t charge one at all. Also, try to “buy at the bottom” in the first place by checking such sites as Fare Report.com for the historical average of fares along the route you’ll be flying. What happened: On a trip with a connection in Atlanta, your incoming leg was delayed, so you missed your onward flight―which, of course, was the last one of the day. What the airline should do for you: If the delay was the airline’s fault (a mechanical problem, say), request overnight lodging and a meal voucher, plus transportation to and from the hotel. Ask nicely―and out of earshot of other passengers, as the airline may not have enough accommodations to go around. Note, however, that there is no law requiring the airline to grant your requests. And if the delay was beyond the airline’s control (the result of bad weather or air-traffic congestion), then you may simply be out of luck. Next time: If possible, don’t take a flight with connections if there’s a nonstop available. “There are more problems and interruptions with connecting flights,” says San Francisco travel lawyer Alexander Anolik. 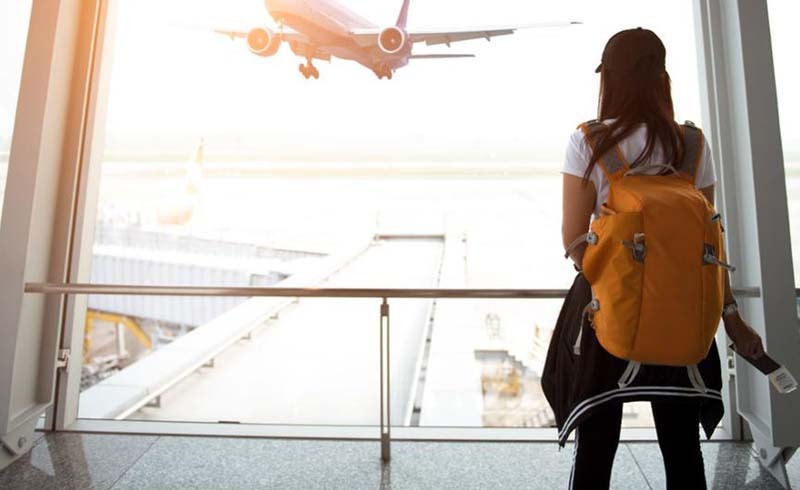 “If you must take one, start your journey first thing in the morning, since earlier flights tend to experience fewer delays.” In addition, the on-time performance of every domestic flight in the United States is tracked and is available from either the airline or your travel agent. Flights are rated on a scale of zero (on time zero to 9.9 percent of the time) to 9 (on time 90 to 99.9 percent). By avoiding flights with poor ratings, you increase your chances of arriving on schedule. If you absolutely must arrive on time, give yourself some wiggle room. For example, instead of allowing just 40 minutes to make your connection at a large and busy airport, leave yourself two hours. Also, while en route to your first stop, check the in-flight magazine for a map of the terminal at which you’re landing―a big help in finding your way to the next departure gate. What happened: After you checked in, the gate agent announced a two-hour delay. You went off for a snack, and when you returned an hour later, the flight had already left. What the airline should do for you: “Airlines should warn people not to wander too far,” says Burke, “and passengers should check in with gate agents for frequent updates.” It is not considered the airline’s fault if you miss a flight under these circumstances, but some, like JetBlue, will put you on the next flight if a seat is available. Next time: Stay put until a new boarding time is announced and posted, says McGee. What happened: The airline from which you bought your ticket stops flying. What the airline should do for you: Other airlines flying the exact route for which you hold a ticket are required by federal law to give you a standby seat for no more than an additional $50 each way. Next time: “Protect yourself by flying only those carriers in sound financial shape,” advises Perkins. (An online news search can often reveal whether a particular airline has been struggling.) And pay with a credit card: According to federal law, if you buy an airline ticket (or anything, for that matter) and don’t get what you paid for, you can contest the charge and the credit-card company must delete it from your bill. However, you must contact your card issuer in writing within 60 days of seeing the charge on your bill―so if your ticket was purchased far in advance, it may be too late to complain when the carrier goes out of business. What happened: You boarded a flight with a bag you thought would easily fit in the overhead compartment. But because the flight was so full, the flight attendant insisted that you check it. When you got to your destination, you found that your video camera was broken and that jewelry and other valuables were missing. Next time: Pack valuables in a smaller bag within your suitcase so that they’re easy to remove and keep with you if necessary. What happened: You flew to Hawaii for your honeymoon, but everything you packed for the beach went off on a vacation of its own. What the airline should do for you: U.S. law sets the maximum lost-luggage payment at $2,800 per passenger on a depreciated basis (meaning the airline will value your items below their purchase price because they’re considered used). There’s no federally mandated compensation for luggage that is only delayed, even if the delay is significant. Next time: Pack as lightly as possible to avoid checking bags in the first place. If that’s not possible, carry on medicines, any valuable items, and a change of clothes. If you’ve acquired a valuable or breakable souvenir that you must bring on board, ship home any less fragile items you won’t need right away, such as beach reads and guidebooks. Also, put your name, home address, and phone numbers both outside and inside your bags, along with a note indicating where you’ll be staying, advises Todd Burke, vice president of corporate communications for JetBlue, in Forest Hills, New York. And “make sure you have a list of everything you packed,” suggests Bill McGee, a travel writer with Consumer Reports WebWatch. “Or take a photo of everything laid out on the bed before leaving.” Present this documentation at the airport when you file your claim.